Alessandro Sorbello: Sorbello, A., & Karsaklian, E. (2016). Residual Impacts of COO in Cultural Festivals: A Case Study of Italian Week in Australia. Journal of International Management Studies, Volume 16 (Issue 1), pp. 45-60. Sorbello, A., & Karsaklian, E. (2016). Residual Impacts of COO in Cultural Festivals: A Case Study of Italian Week in Australia. 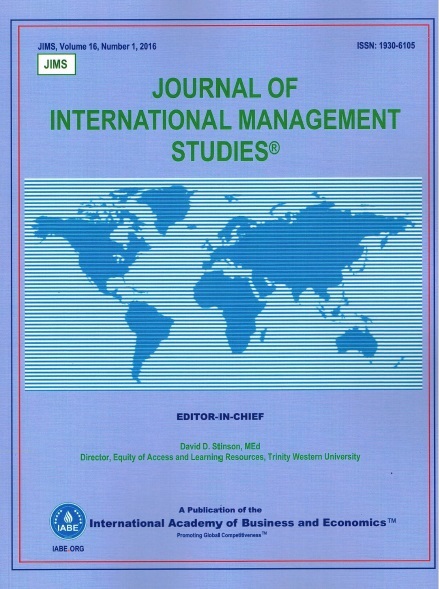 Journal of International Management Studies, Volume 16 (Issue 1), pp. 45-60.
behaviour while others stated the opposite. However, no research has been conducted to study the impact of emotional engagement in regards of consumer purchase behaviour during Festivals. This research aims thus to study COO effect on consumption behaviour thanks to emotional engagement as well as its residual effect in the case of Italian Week in Australia. This research was composed of two studies. Thanks to a qualitative study based on semi-structured interviews generated a list of key factors leading respondents to establish emotional engagement with Italian culture. Next, the key factors generated by the qualitative phase of our research were quantified through an online survey with 282 respondents. Results from this research indicate that thanks to COO, Italian Week is able to generate emotional engagement which in turn enhances the residual effect of the festival and its impact on attendees’ consumption behaviour. The positive country of origin effect towards Italy enables Festivals such as Italian Week to target Italy lovers thanks to marketing activities highlighting Italian brands and services and developing emotional engagement. This research explores an unstudied field in international marketing, more specifically in the COO effect field. Research about COO has focused on products and brand consumption to date and none has analysed the impact of COO in services, specifically regarding cultural festivals.